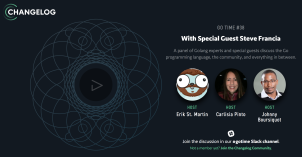 Coding, writing, recording, teaching, speaking. It's all (mostly) here. 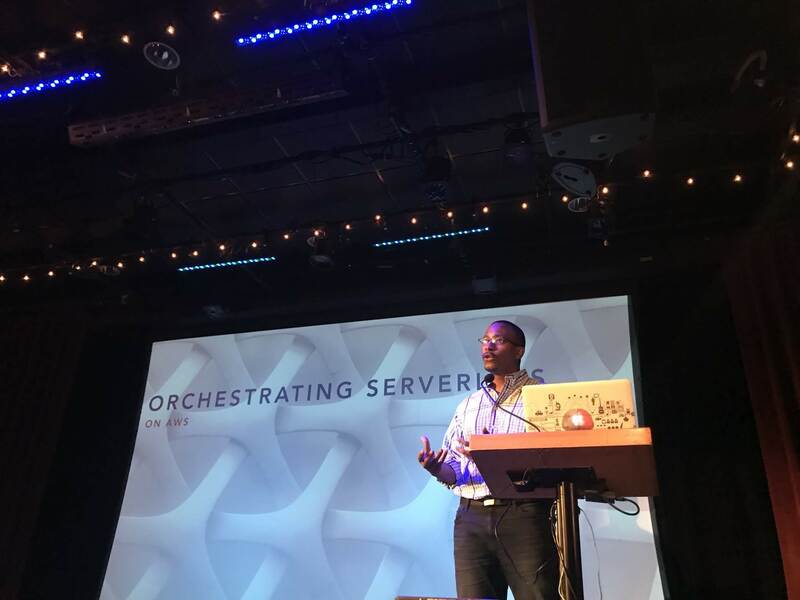 Delivered a talk on Go, FaaS/Serverless Orchestration. October 2018. 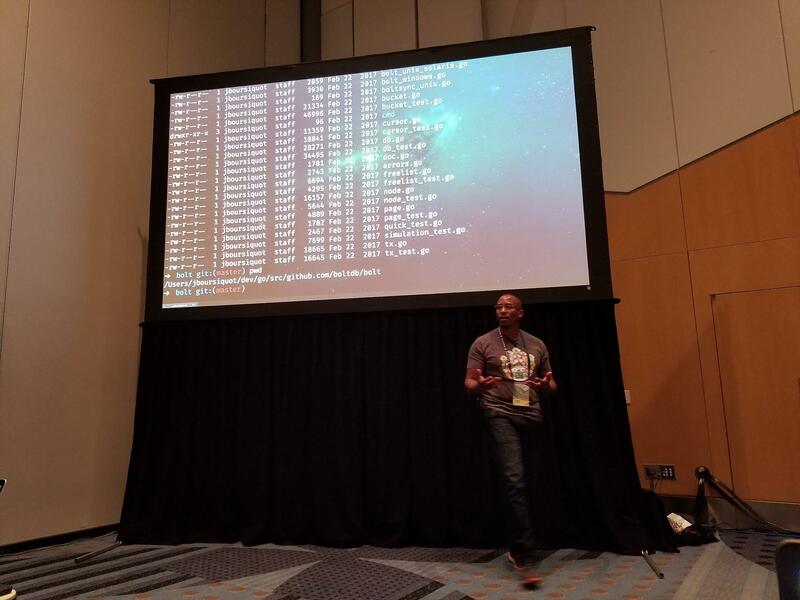 Delivered a lightning talk on Go, FaaS/Serverless on AWS. August 2018. 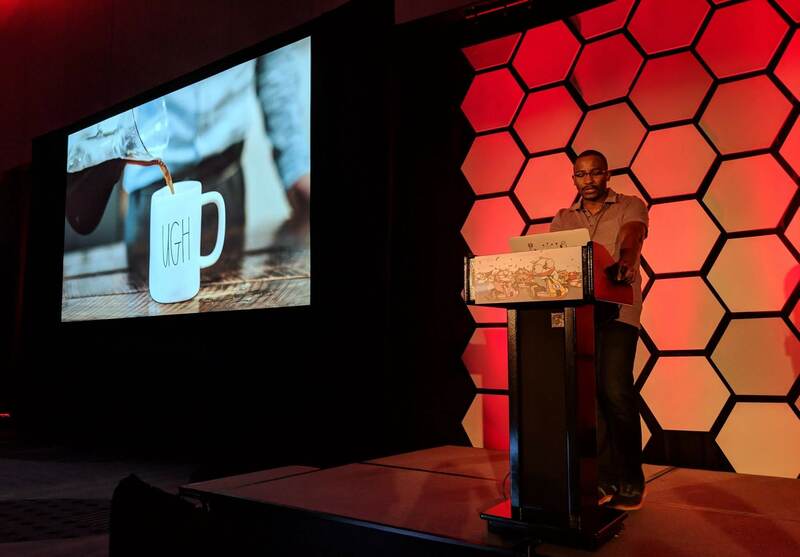 Full day Go training at GopherCon 2018. August 2018. Available now from Packt. November 2017. Delivered a workshop on getting started with the Go programming language. October 2017. 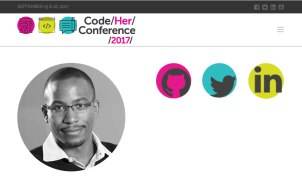 Delivered a 2-hour workshop on building Serverless Slack Bots with AWS Lambda at Coder(Her) Conference. September 2017. Co-host of Go Time 49: Adventures in VS Code. June 2017. 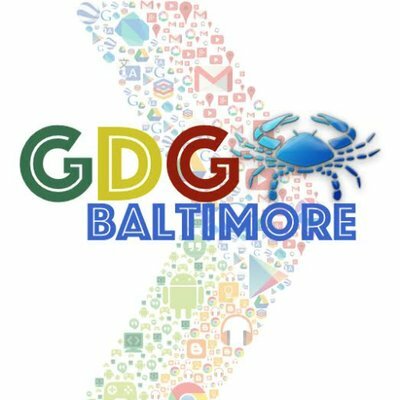 Delivered "Popular Go Libraries" talk at the Baltimore Go User Group. May 2017. 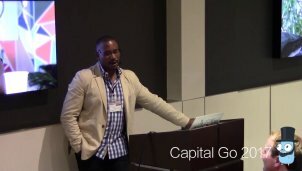 Delivered "Mine the Debt" at the inaugural Capital Go Language Conference. April 2017. 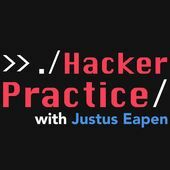 I was a guest on the Hacker Practice podcast, talking about life, coding, business, and startups. March 2017. 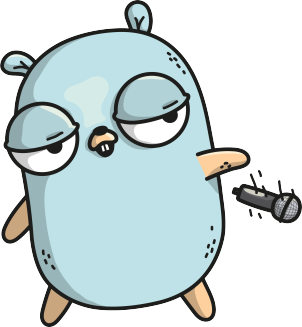 Co-host of Go Time 38: Go Developer Survey with Steve Francia. March 2017. 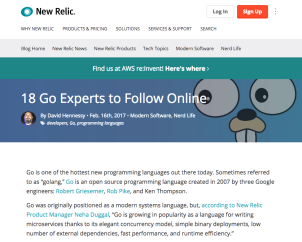 I was listed alongside many prominent gophers (whom I, myself, admire), on the New Relic blog. February 2017. 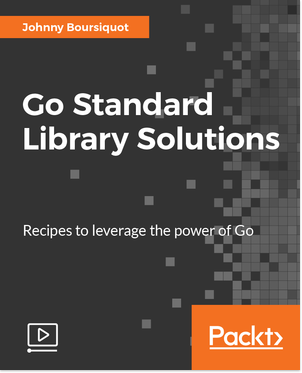 Delivered "Go, Quickly", a talk on how to get started programming in Go. February 2017. Delivered "Interacting with Databases" workshop at the Baltimore Go User Group. February 2017. 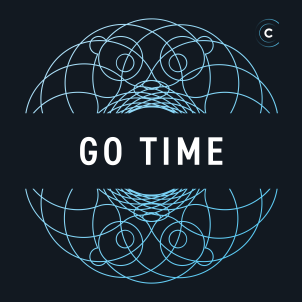 Guest on the Go Time 30: Discussing Imposter Syndrome along with William Kennedy. January 2017. Delivered "Building Web Applications in Go" workshop at the Baltimore Go User Group. January 2017. 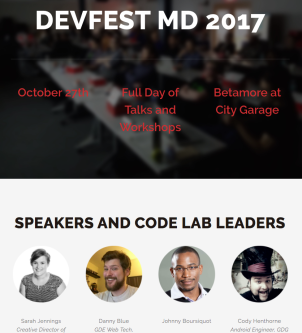 Delivered "Building Chat Bots in Golang" workshop at the Baltimore Go User Group. December 2016. 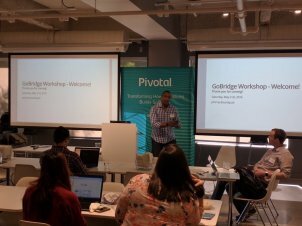 Delivered "Building Command Line Applications with Go" workshop at the Baltimore Go User Group. November 2016. Organized and taught the first GoBridge Boston workshop thanks in large part to the awesome gophers in the Boston area and the support of Pivotal Labs. May 2016. 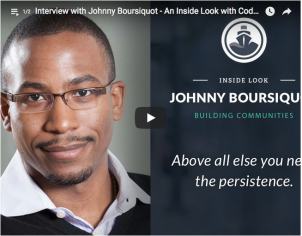 Featured on "An Inside Look with Codeship", a regular series providing an insider’s perspective on founding and building a tech company. Available on YouTube as well. September 2015. Delivered two workshops: "Programming Fundamentals" and "Building APIs for Web and Mobile Apps". September 2015. January 2015 - Intro to Ruby for the Non Programmer talk given at the RailsBridge Workshop in Boston, MA . RailsBridge is an organization that aims to bring diversity into the tech community by empowering women from various backgrounds with skills in Ruby and Rails development. Check out their trailer on Vimeo. 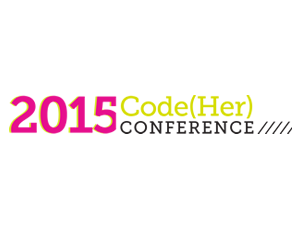 September 2014 - Building APIs for Web and Mobile Apps at Code(Her)Conference, a 2+ hour-long workshop to conference attendees on how to build REST APIs. It was well received and I was invited back as a speaker the following year. August 2014 - Panel Guest on The Future of Ruby at the Burlington Ruby Conference where I, along with Sandi Metz and Ernie Miller, discussed the future of the Ruby programming language and its community. February 2014 - Object Oriented Programming in Golang talk given at BostonGolang ( bostongolang.org) to an audience of programmers looking to transition to Go from other OO languages. June 2013 - Building Command Line Tools talk given to the first cohort of Launch Academy in Boston, MA, who at that time had gone through several weeks of training and hands-on experience with web application development since my last visit. 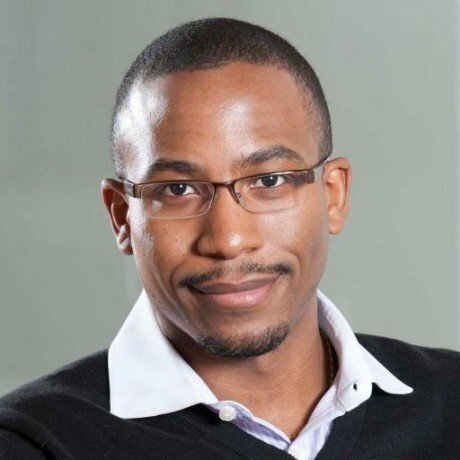 This talk was meant to present an alternative approach to tackling problems that do not necessarily need to be solved using the traditional web stack. May 2013 - The New Engineer's Survival Guide to the first cohort of Launch Academy in Boston, MA. It was meant to serve as a precursor of things to come in your engineering career and be encouraging as well. 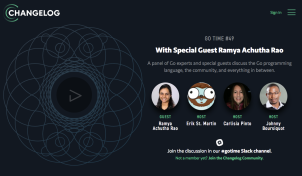 May 2013 - Getting Closure: Ruby Blocks, Procs and Lambdas talk given at BostonRB. An introduction to an aspect of Ruby that is not talked about very often but that represents one of the distinctive features of the language. January 2013 - Defensive Programming in Ruby: Given as a workshop at BostonRB's Project Night. Introduced new Rubyists to concepts surrounding writing fault-tolerant Ruby.